Table top growing has been utilized globally for the last 15 years, but for many reasons it has never been tried in the U.S., however due to an increased consciousness towards environmental impacts, we have lead the way for the U.S. market. 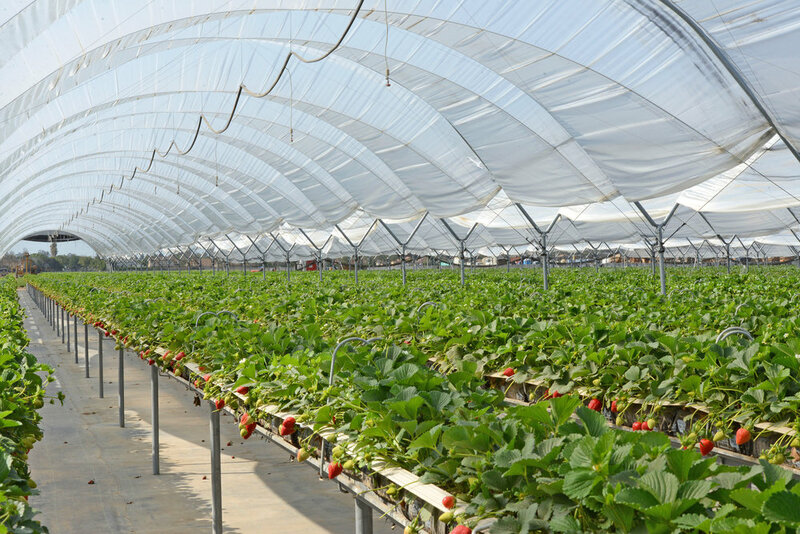 With the table top growing system we are able to grow with 1/3 the water that conventional strawberries use. 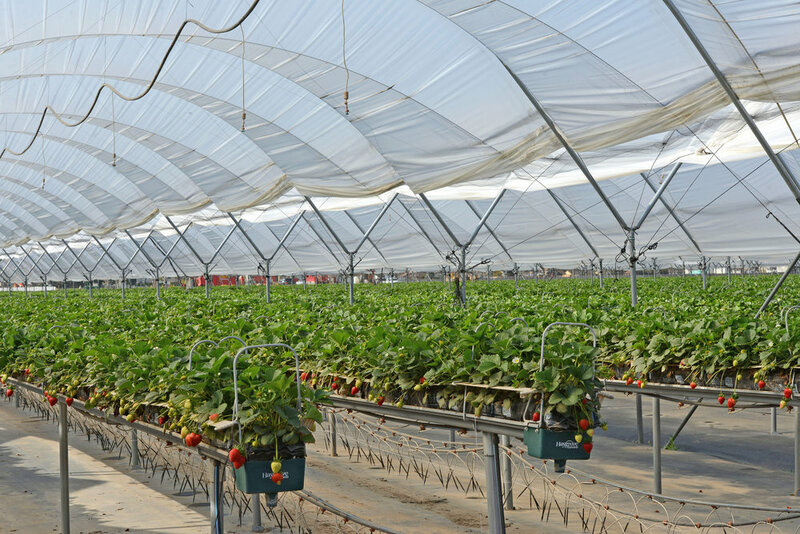 We are even able to eliminate the use of soil fumigants due to growing in substrate. 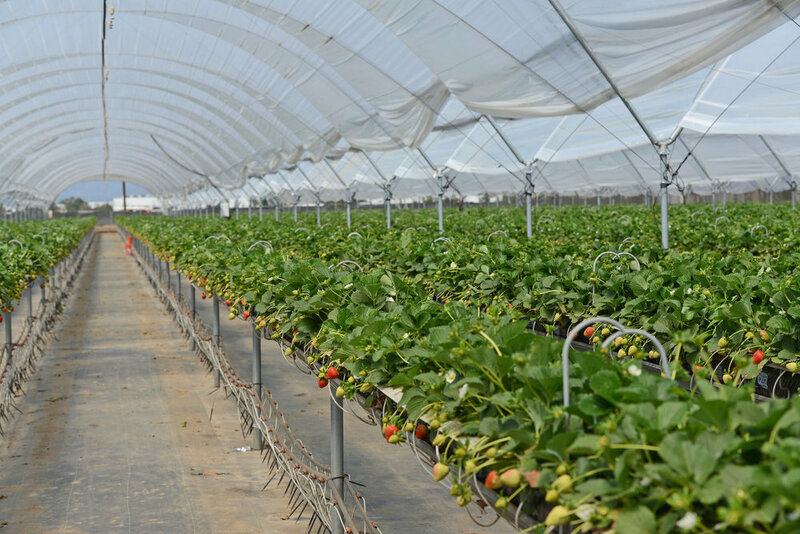 The biggest benefit of the table top growing system is the reduced strain on our harvest crews. We have designed a picking cart so that our crews are no longer bending over or having to carry boxes while harvesting. Use these navigation links to view our other galleries.